The Olympic is our townhome style 2 bedroom with half bathroom and washer/dryer hookup downstairs. 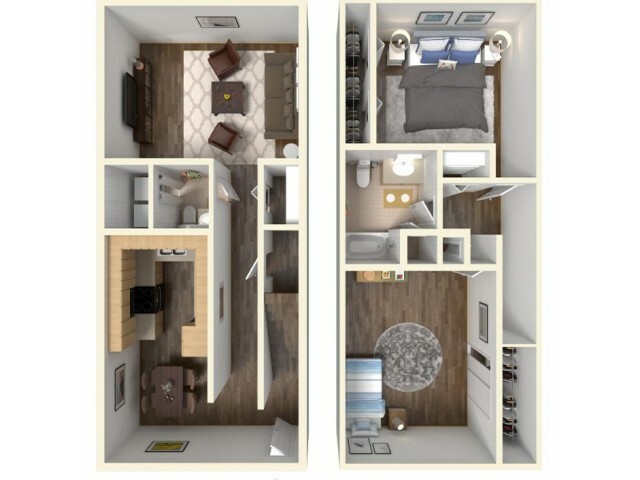 With both bedrooms upstairs and linen closet this floorplan is perfect for any household. The back patio and private entry give this unit the perfect home feel. The upgraded appliances are a must-see!